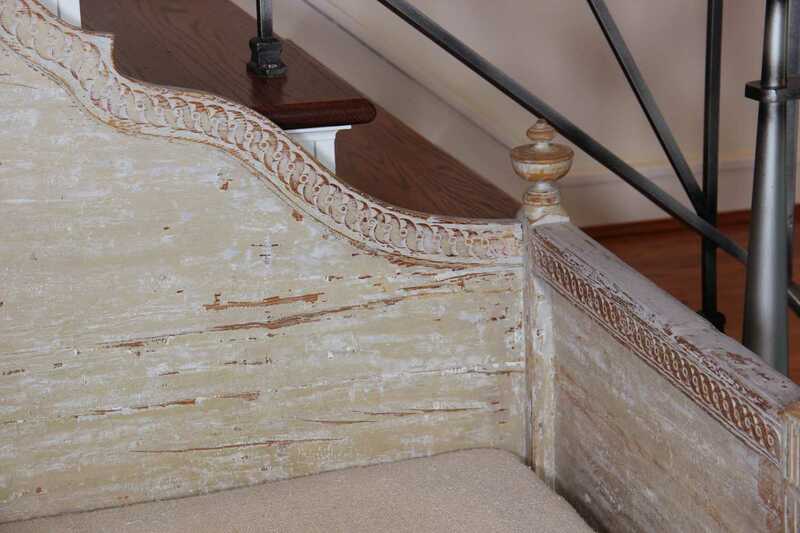 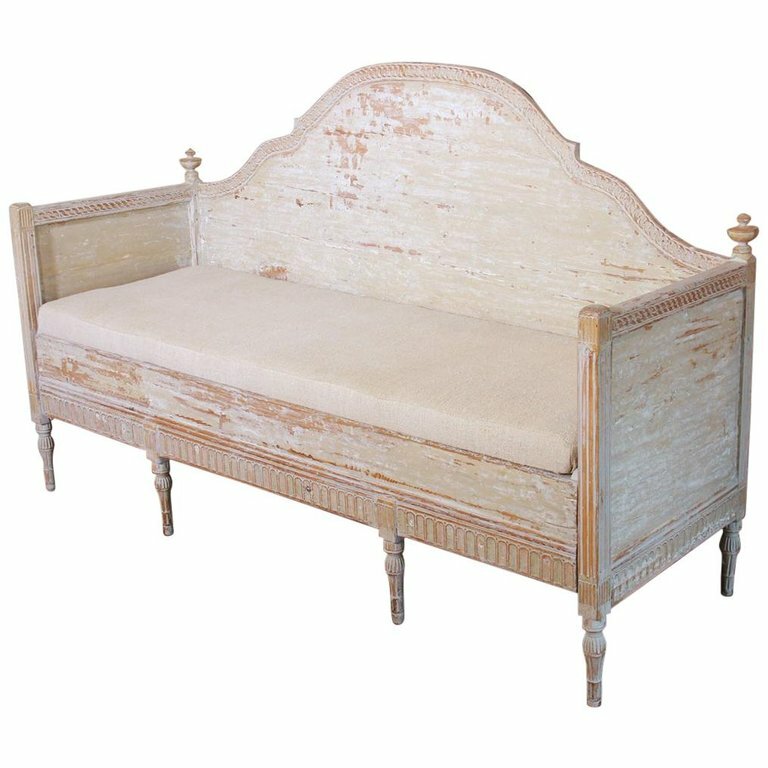 19th Century Swedish Gustavian Period Trundle Bed Sofa in Original Paint | Maison & Co.
A Swedish sofa with pull-out trundle bed from the Gustavian period hand scraped to original paint with a newly upholstered linen seat. 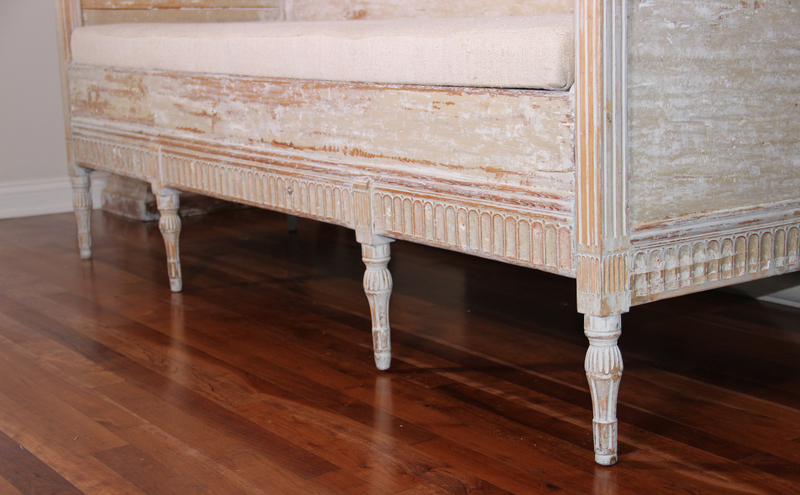 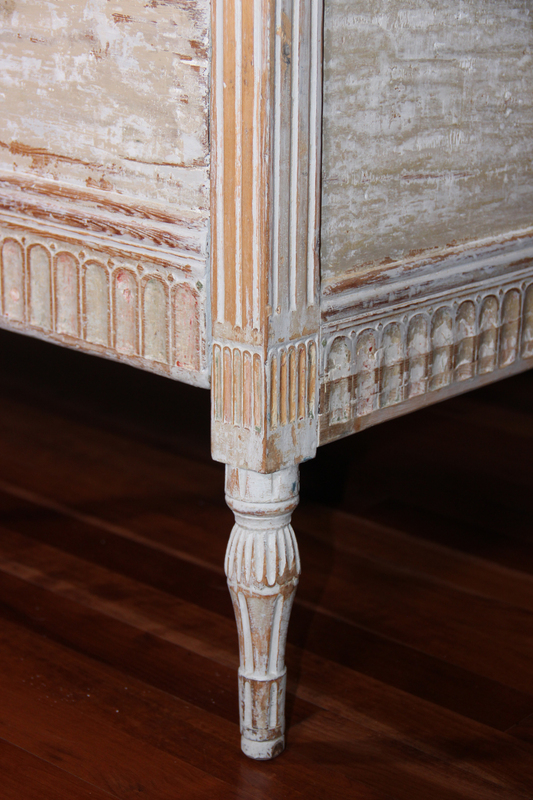 The frame with a high, carved, camel back features a guilloché pattern and the tapered and fluted legs are adorned with fluted, round caps. 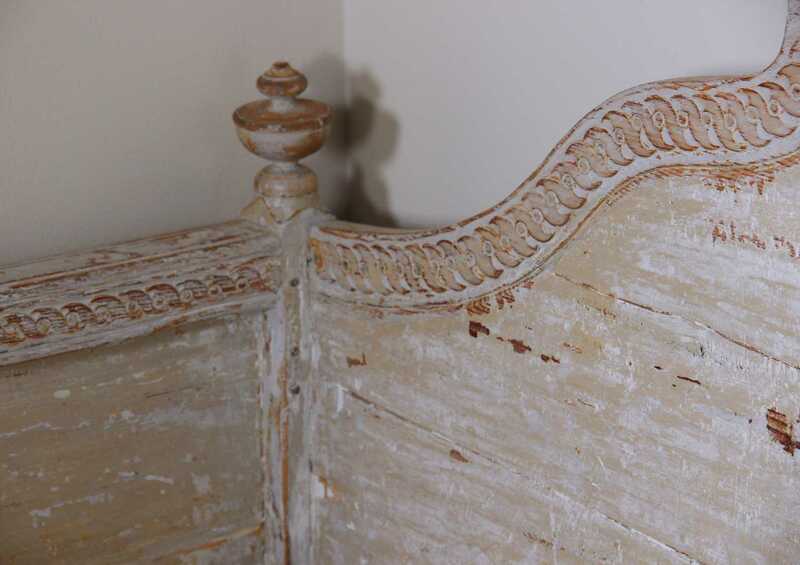 The back is unfinished. 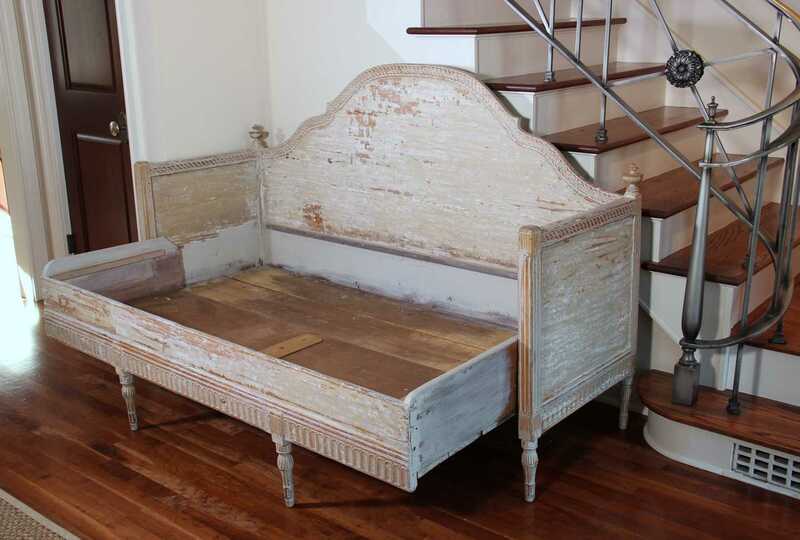 Years ago, this beautiful sofa provided seating during the day while at night, it converted into a bed. 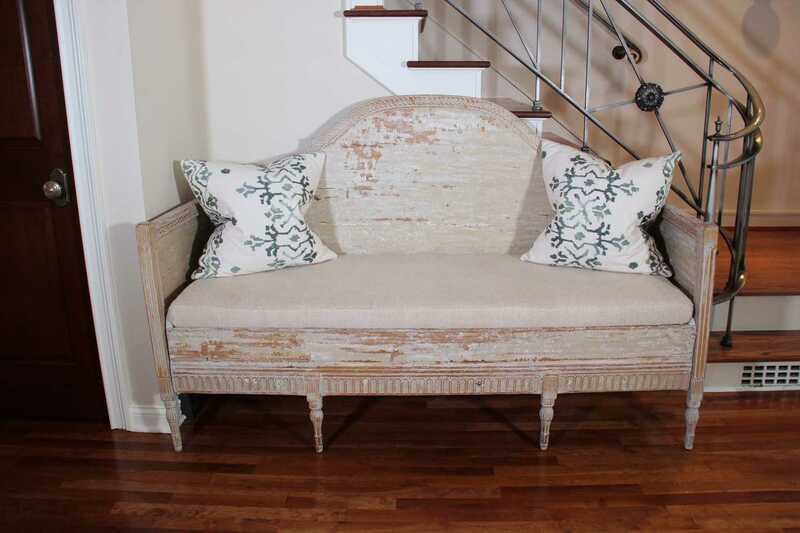 The space below the seat cushion can be used for storage. 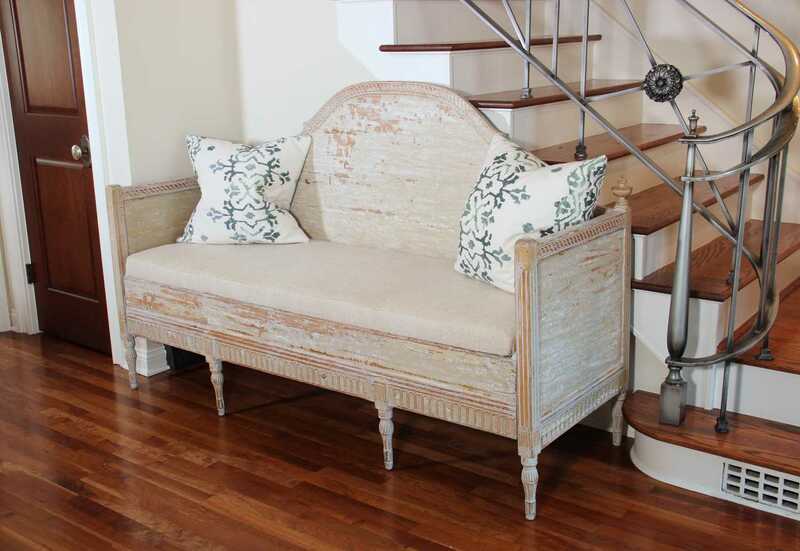 This sofa would work well in a front entry, hallway, sitting room, or as a banquette for a breakfast room. 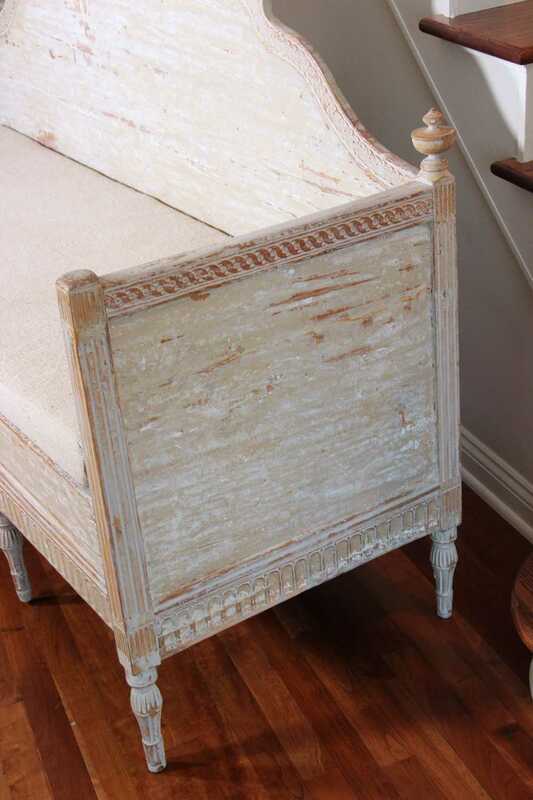 The trundle bed dimensions are 69.44 inches wide x 41 inches deep. 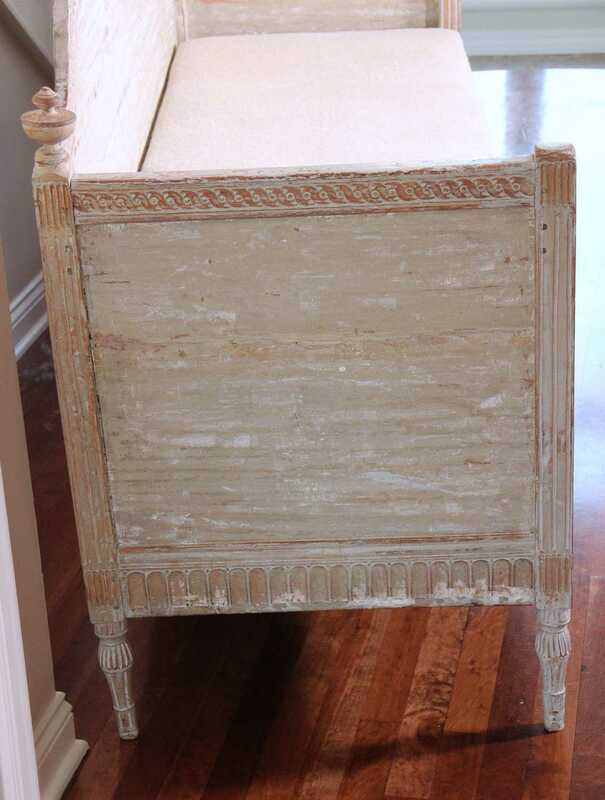 45.88" H x 71.5" W x 24.25" D Seat Ht: 22.44"